I’m sure most (if not all) of you have experienced a situation like this before: you’re at a gig or jam session and someone gets up to solo and proceeds to bore the you-know-what out of the crowd and the other players by regurgitating one empty-feeling “lick” after another for their entire solo. You probably feel the same way I do when you experience this – annoyed, uninterested, and/or angry. It’s one of my pet peeves many jazz musicians are guilty of: excessive lick playing. By “lick playing” I mean mechanically memorizing and regurgitating melodies copied from other players. As jazz musicians, we need to stop lick playing. It’s bad for jazz. The emotionally empty music that results from lick playing is part of what gives jazz a bad reputation among the broader music-listening public. Solos that are full of nothing but shallow and flashy licks are a big turn-off to most listeners and musicians. In general, musicians and non-musicians can sense when the music is authentic and meaningful vs. when it’s copped and shallow. A solo laced with flashy, worn-out licks is rarely authentic or compelling. Let me be clear here: learning jazz vocabulary by transcribing, memorizing, and playing solos/licks/patterns in all twelve keys is an important step for learning how to improvise. I’m not opposed to using licks as a learning tool (more on that below). But mere memorization and regurgitation should never be the end goal. There’s also nothing wrong with taking a line from a standard or a jazz master’s solo and referencing it in a solo if it’s musically appropriate. But too often players use lick playing to cover up the fact that they haven’t learned how to truly improvise. Even worse, sometimes people use lick playing as a way to “vibe” other musicians and listeners. They’ll quote lines from jazz melodies and solos and then judge others based on whether they recognize the references or not. This kind of superficial and elitist vibing is also bad for jazz. It’s yet another big turn-off for musicians and audiences when there’s a knowledge “test” they must pass to prove they’re hip enough to be “in” with the real jazzers. Jazz doesn’t need the additional stress and negativity created by (often insecure) musicians who behave in a viby, elitist way towards others. Perhaps most importantly, lick playing also almost never translates into good jazz. This is mainly because musicians who rely solely on licks often don’t really listen to the other players in the band when they’re soloing. 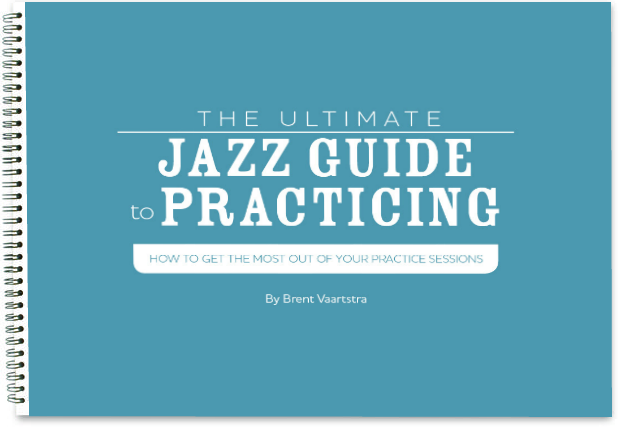 True improvisation is more than merely playing licks you memorized in the practice room. Improvisation is the spontaneous composition of new music on the spot (even if much of it is based on things you’ve perhaps heard and played before). Meaningful improvisation happens when all the musicians in the band are listening to each other and reacting creatively in the moment. Improvisation is like a conversation: though the topic may be decided beforehand (the “tune,” “head,” or melody + the form and chord changes), the actual ideas that are expressed in the moment (solo melodies) are most meaningful and effective if they are original, personalized, and not pre-planned (again, even if they’re based on ideas derived from another source to a greater or lesser degree). Imagine for a minute how boring, futile, and meaningless every conversation would be if you planned out every sentence you were going to say word-for-word beforehand. And what would you do if someone tried to change the subject mid-conversation? An attempt at a pre-planned conversation in the real world would most likely fail miserably to communicate anything meaningful. The same thing happens with improvised music. The more pre-planned lick playing that happens on the bandstand, the less interesting, compelling, and cohesive the music becomes. Some lick players think that by merely re-ordering their licks in a different sequence every time they solo it means they know how to play and can avoid the challenges of learning how to truly improvise. But again, think about it like a conversation. That’s like thinking that you are improving your conversation by merely reordering the same old sentences you’ve memorized and repeated in the past. Regardless of sentence or lick order, if the ideas are preconceived and mechanically regurgitated, it means that no real listening and no real communication is happening – during conversation and improvisation. Real listening and authentic communication is the foundation and basic requirements of good conversation and good jazz improvisation. True creativity springs from real listening and authentic communication in the moment. So how do you avoid the trap of being a lick player, and how do truly great jazz masters practice licks? 1. Pick a lick, any lick. It doesn’t matter the source, as long as you like it. B. Practice them in all 12 keys with and then without a metronome. 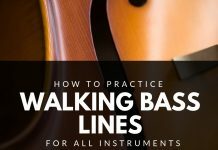 C. Practice them in different meters and rhythmic subdivisions. For example, as 8th notes, then 8th note triplets, quarter note triplets, etc. 2. Hear it, learn it, play it, then forget about it. A. Never try through force or effort to play a lick you’ve learned. Once you’re done practicing a lick, let it go. If you’re busy trying to artificially regurgitate a lick you’ve learned while improvising a solo, then by definition you are not actually improvising. If you’re involved in the process of trying to remember and insert a pre-conceived lick over a tune, then that automatically means you’re disconnected from the music – you’re not actively listening and responding to music and your fellow musicians in the moment. 3. You do things in the practice room you’d never necessarily do on the bandstand. So don’t feel like it’s a waste if you practice something and never directly use it in real-life playing situations. And don’t feel pressure to play things you’ve worked on in the practice room in public just to prove a point, because that doesn’t lead to good music making. I’ll use a sports metaphor here to illustrate this point further. Professional football players and baseball players lift weights as part of their training routine. Are they ever going to have a need or opportunity to lift a metal bar with weights attached to it when they’re actually playing the game? No, but they lift weights because it improves their overall fitness and athletic abilities. Likewise, we practice licks and exercises in the practice room because they improve our overall musicianship and improvisational skills, but we’re likely never going to find any meaningful or practical use for directly applying those licks on the bandstand in real life improvisational situations. 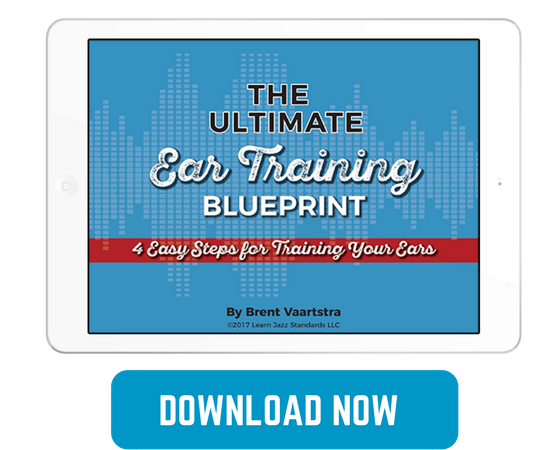 In addition to practicing licks this way, you’ll also want to work on developing your ears. The best improvisation happens when you can really hear what the other musicians are playing and when you feel confident in your ability to play the melodies you’re hearing inside your head. Improvising using your ears is a fundamentally different approach than lick playing because it relies solely on your aural skills and your imagination. Yes, you very likely will end up hearing and playing licks you’ve heard or played before using this method. But the difference is your melodies will come out much more organically and they will fit in with the music much more naturally and effectively if you’re truly hearing and “feeling” it, as opposed to mechanically regurgitating it. There’s great freedom and creativity when you improvise using only your ears and imagination, but you have to work really hard to develop your aural skills in addition to your scale-chord theory in order to make it happen. 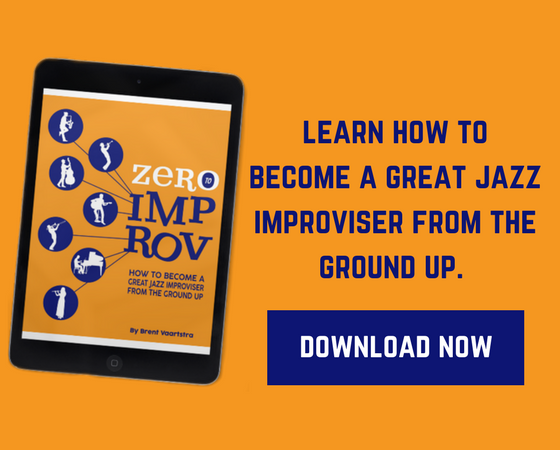 I hope you find these suggestions helpful in your journey as you work on your improvisation skills. Remember that you don’t have anything to “prove” when you’re playing music, your job is just to make good music, and lick playing – which is often motivated be a desire to sound “cool” or “hip” or to “prove something” – rarely leads to emotionally meaningful music. So practice licks at home, then forget about them, and just do the best you can when it comes time to truly improvise! Great post! It was good to read, though maybe different from the author's intention. I'm lifting language on a daily basis, and then running them through the 12-step program. But they never directly come out on the bandstand, which I find to be a little discouraging. I know WHY I'm supposed to be transcribing and how it can benefit my playing, so I'm patiently waiting for the day where my lines start becoming as cool as Rollins or Stitt on the bandstand. I'm happy to hear that the language shouldn't be regurgitated verbatim, because it doesn't seem like it will be possible for me anyway! Cheers to the LJS community. Hey Mike, glad the post helped! Special thanks to Josiah for this one. Appreciate having you in the community, and keep up the good work you are doing! Thank you so much for this. Sometimes we need to be reminded that we should be ourselves once in a while. I'm 2 years into jazz piano, while I'm finally starting to become free from thinking, I don't think I have the idea of incorporating other licks I've learned into my playing. Like.. I have these 2-5-1 licks exercises while I like how they sound, I feel like I don't know how to insert the idea in my playing but if I know I'm working around 2-5-1s I can instantly recall it and add my variations to it. Let's say.. I'm working on a jazz standard, let's take Road Song by Wes Montgomery, every time I play this song I automatically resort to spontaneous playing versus utilizing the 2-5-1 lick ideas. Another example is I transcribed Lady Bird – Chet Baker, while I can play note for note, I feel like I didn't really get anything out of it. I hope this makes sense but do you have any advice on this issue? Though Josiah one of our writers wrote this lesson, I can offer some input. 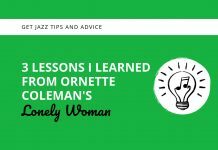 Certainly learning looks and solos will be helpful always because you are learning pieces of language, hearing it, and transferring it to your instrument. It's the same as learning any language. You have to mimic and copy, but eventually once you get the idea of how to speak you can develop it yourself. Meanwhile, when we improvise, we don't want to be playing licks verbatim, but it's likely that you do sometimes hear those sounds in your head when you come across some chord changes and that's a good thing. Sometimes it feels like doing this stuff isn't getting instantaneous results, but really its sinking in. The best way to prove it to yourself is to try composing a solo over a song you are comfortable with. Whatever you come up with is strictly what you are hearing over those chord changes, and no doubt it will be influenced by the music you are learning and listening to. Hope that offers a bit of insight! It definitely makes sense now. I've been self teaching and it gets a bit discouraging when it feels like I haven't improved. Looks like I still have quite a bit of journey to go. Personalization of improvisation occurs when a player begins to search for sources in himself, in his own personality. "Talent learns from others; genius learns from itself ! "Practically, this means that during the licks playing , the musician uses someone else's musical syntax and someone else's musical intonation – at the time, he has his own, which is certainly different from the other musicians . But not all improvisers are willing to do it: it is like striptease of personality, though through the musical sounds. Very insightful, thanks for this – and thanks for reading and supporting LJS! I found this article to be outstanding. I really needed to hear this lesson because, admittedly, I'm guilty as hell of what Josiah is pointing out. And I believe that he made me deeply understand the errors of my ways in this regard – and how to go about a practice regimen that will work toward correcting them. I'm glad it was helpful – thanks for reading and supporting LJS!